Been given two Chromecasts for Christmas? Wondering what to do with your old phone now you've unwrapped a brand new one? There are plenty of options for dealing with your outdated and redundant technology besides throwing it out with the Christmas tree. 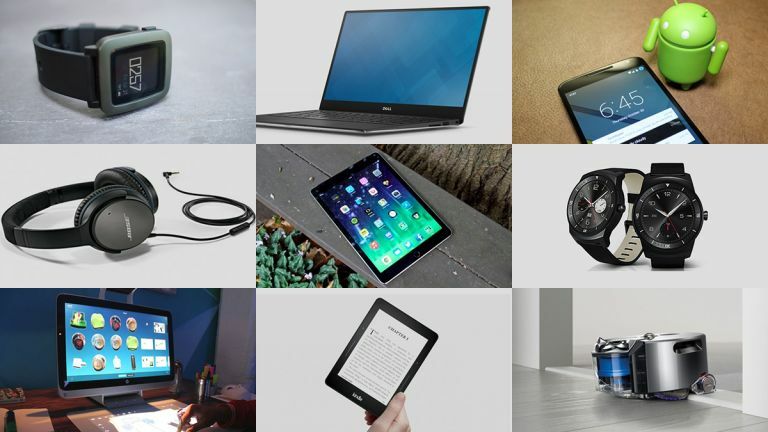 Here we've collected a few ideas for ways to make use of your old gadgets, though you might have to adapt them depending on what exactly you have lying around that's surplus to requirements. The good news is they're mostly straightforward and cheap options. Stick your unwanted gadgets up on eBay and you might get more than you think for them, even if they're broken or defective in some way (just make sure that's made clear in the listing itself). Start the bidding at a low price and let market demand dictate how much you get - you could potentially use the money to offset the cost of some new technology. Plenty of eBay buyers scoop up old kit to refurbish or fix and then sell on for a profit so don't think that nobody's going to want your 2013 Samsung Galaxy S4. Another option is to sell your gadgets straight to somewhere like Cash Converters or even your phone network company (a lot of operators will give you cash if you return your mobile to them). If you think about it there's probably a friend, relative or neighbour in your life who'd be keen to take an unwanted gadget or two off your hands. Children in particularly are usually happy to get their mitts on any kind of tech - even though it may not be useful or up-to-date enough for you, a son or daughter (or niece or nephew) might appreciate it. While you don't get any cash back for going down this route you do get the warm feeling of knowing you're a generous sort of person - and it is Christmas time after all. Perhaps if you donate a tablet or a streaming video dongle to your next-door neighbours, for example, they might be more willing to help the next time you're in need of a favour. E-waste is a growing problem for the developed world so don't contribute to it by leaving your old gadgets on the heap of scrap at the tip: there are plenty of options for the would-be recycler so you don't really have any excuse. A lot of electronics companies - from Apple to Dyson - will recycle your old kit and may even give you some money for it. Charities will also gladly take your unwanted tech and recycle it for you, using any proceeds to help their cause. Parkinson's UK, Oxfam, and the Rainforest Foundation UK are just three of the many organisations with schemes, so check around your favourite charities and see which ones are willing to recycle some old gadgets for you. There are all kinds of ways that old gadgets can be repurposed. Even the slowest tablet can work as a dedicated ereader if you stick the Amazon Kindle app on it, for example, while you can keep a desktop computer around as a media centre or a web server. An old router can double up as a wireless access point with a little software hacking. Repurposing old technology usually involves cutting down the number of functions a gadget can do to focus on one in particular, but feel free to get creative. For example, the recently launched Perch can turn just about any unwanted Android smartphone or tablet into a home security camera, while CloudReady can turn old laptops into Chromebooks. You never know when you're going to need a spare circuit board or set of headphones, so you could keep your old gadgets around just in case they come in handy (assuming you've got space to store them). An old dumbphone might not seem like much use, but if your new smartphone gets lost or needs to be repaired then the situation quickly changes. If you've got an old desktop computer you're on the verge of throwing out you might want to take out the hard drives, graphics card, processor and RAM sticks first, perhaps. Some technical know-how might be required to repair your new gadgets using spare parts from your old ones, but it's a good idea to have a safety net in place should you need it.